Precise targeting & optimization to deliver the right clicks from top tier search engines. 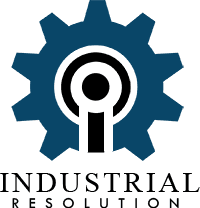 Industrial Resolution will give you quality clicks based on your goals. Our optimization is based on Science. Not all markets are the same, which is why we take a strong scientific approach to your specific advertising. We focus on conversions, not simply clicks. Our platform will show your targeted customers special messaging designed to reinforce your brand and encourage engagement with your message and site. We’ll target by GPS coordinates, zip codes, cities, counties, and DMAs. You tell us precisely where to target and we’ll do the rest. Deliver highly focused and measurable video content across multiple devices. Desktop and Mobile Video Advertising allows your customers to engage with your message. Our high resolution video is designed for your desktop while our optimized video is made for each device’s screen that allows for fast load times and a quality viewing experience. Images, audio, and video to communicate your advertising message. Precise targeting that includes behavioral, geographic, demographic targeting as well as a consistent messaging across all devices. Take full control of your digital marketing campaigns. Monitor the performance of all of your campaigns in one place. We provide up-to-date reporting for Search Engine Marketing, Display, Mobile, and Video campaigns. Analyze performance of creatives, listen to phone calls, track conversions, and see near-real time performance of your campaigns. Reach your audience when and where they are most engaged. We can create a Facebook advertising plan for your specific needs. If someone visits your website, banners will appear in the newsfeed of both mobile and desktop Facebook platforms, as well as the sponsored section of the desktop platform. Maximize messaging across multiple media platforms. Digital Audio has massive reach and growing penetration among internet users: 181 million users will listen to digital audio media in 2017. Current traditional radio messaging can now become a consistent message delivery across multiple media platforms. Connect with your audience where they spend the most time. We can design customized social media plans for your target audiences on several platforms. This can be accomplished by creating engaging content over time in order to attract new followers while satisfying your current following. Rank Higher in your searches. Your online visibility is important in order to stay competitive. We will help you build your online presence so you can rank higher and organically become more noticeable.